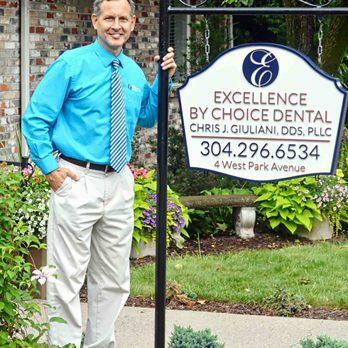 For more than 50 years, Excellence by Choice Dental has served the community in and around Morgantown, WV. With a highly educated staff, the latest technology and quality products, our Morgantown dentist provides comprehensive dental care to meet your family's needs. Our philosophy is to give you and your family excellence by choice - our name even says so. For more than 50 years, we've served the communities in and around Morgantown, Fairmont, Clarksburg, Cheat Lake, and Westover. With a strong focus on our our patients' unique needs, we strive to provide exceptional smiles. In other words, our excellence by choice is yours. Discover comprehensive dental care that looks after you and your family’s needs. You deserve compassionate and convenient care that’s advanced and personalized to your needs. Come to Excellence by Choice Dental. We’re here for you. Call us at 304.296.6534, dial our fax at 304.292.4915, send us an email at [email protected], or use our online Request an Appointment form to schedule your consultation.